“Its’ hard to believe I have been here for 46 years” says Phyllis Mac Namara standing in her beloved Cobwebs, in Quay Lane Galway. The shop is packed with jewellery from every era, with a strong emphasis on diamond engagement rings both period and modern. New jewellery in all its guises also fascinates her as does the use of so many materials never before used in jewellery. Cobwebs is very proud to be the retail outlet for Irelands’ rising star jeweller, Nigel O Reilly. 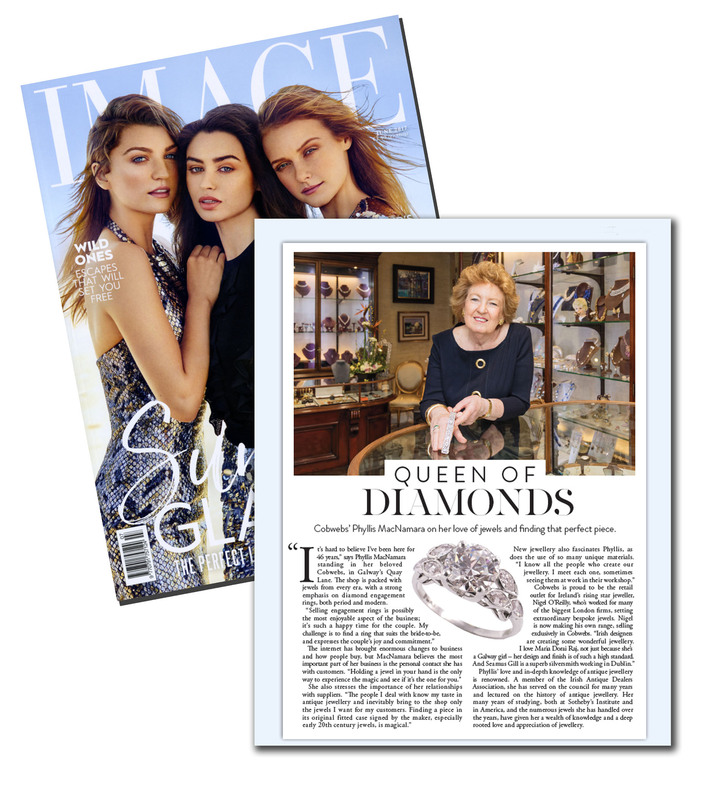 He has worked for many of the biggest London firms setting some extraordinary bespoke jewels. Nigel is now making his own range selling exclusively in Cobwebs. 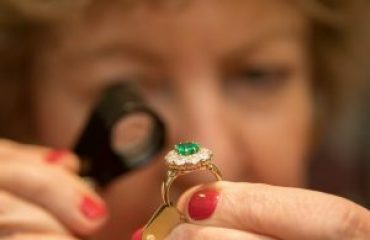 Phyllis love and knowledge of antique jewellery is well known. 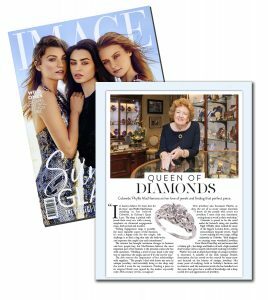 Her many years studying antique jewellery both at Sotheby’s Institute and in America together with the numerous jewels she has handled over the years has given her a life time of experience of jewels. She says she is very hard to sell to as she demands perfection in each piece. 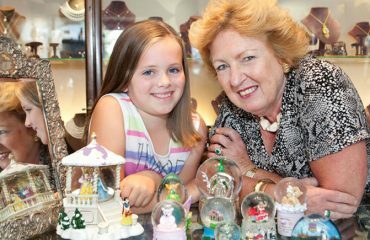 A member of the Irish Antique Dealers Association she has served on the council for many years and lectured on the history of antique jewellery.